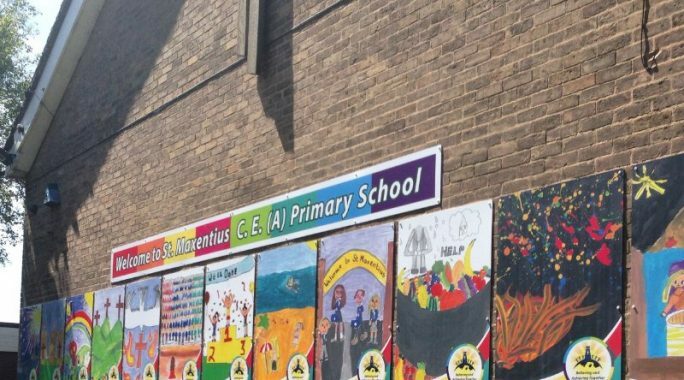 Stone Create was asked by St. Maxentius School in Bolton to work with their pupils to create designs to use on some external school signage. 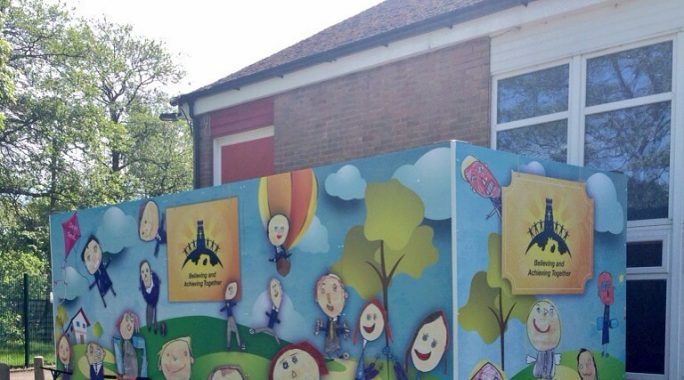 The school wanted 12 signs which represented religious and school events over the 12 months of the year, to go on a gable end wall at the front of the school. I spent two days in school with the children, helping them create designs out of gouache paint. Twelve designs were chosen for the finished signage. 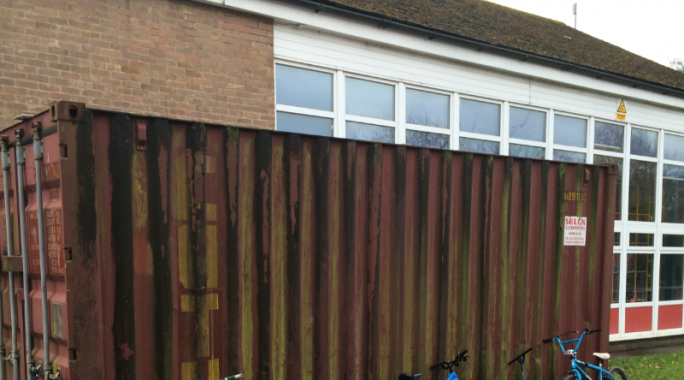 We were also asked to up-cycle an old rusty container in the children’s playground. 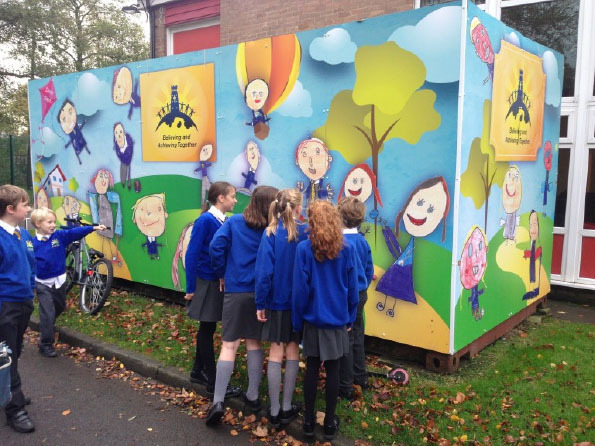 We used drawings which the reception children had created of themselves playing out as our inspiration and created a colourful design which has totally transformed the container. We have more signage projects planned with the school using the children’s art work.